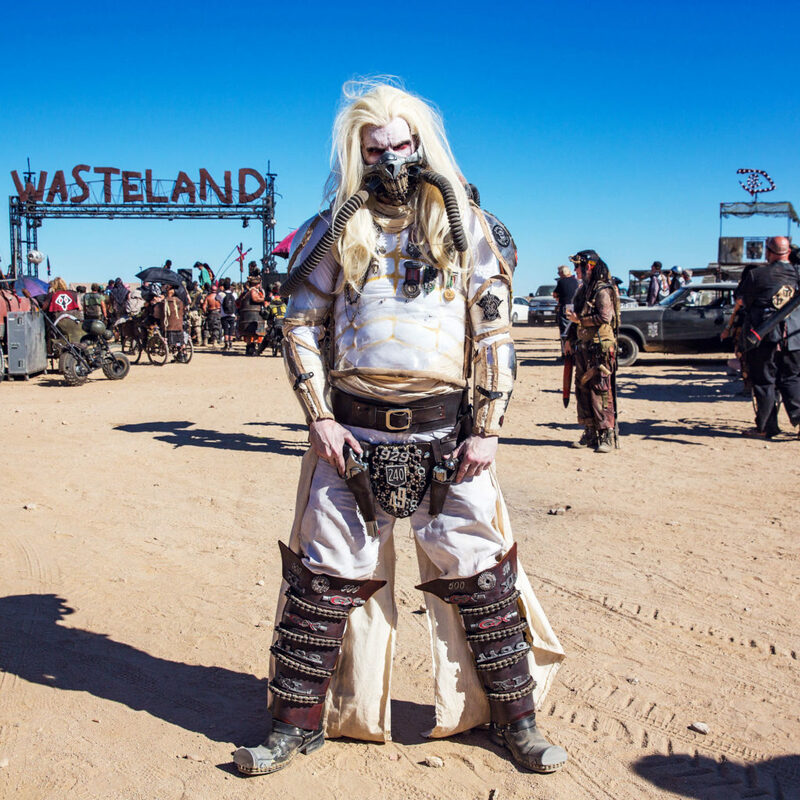 Chaos is the norm at Wasteland, the “world’s largest post apocalyptic festival” that turns the Mojave Desert into a glorious vision of hell on earth. 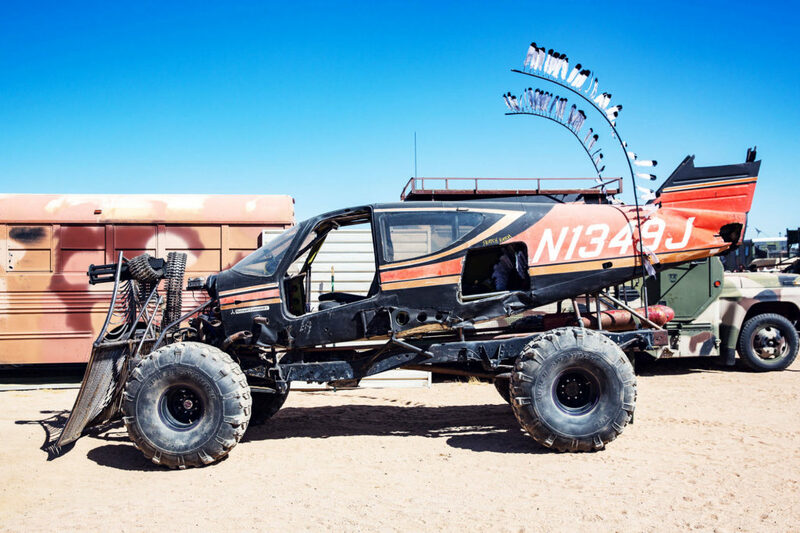 For four days each September, thousands of survivors maraud a patch of dirt and sand east of Bakersfield, California, in wild jalopies and wage epic bungee battles in a two story Thunderdome. Wasteland combines the coolest parts of Mad Max and Fallout with a dash of Dune in a simple premise: The end of civilization has left a scrappy band of survivors to pillage a scorched, dead planet. 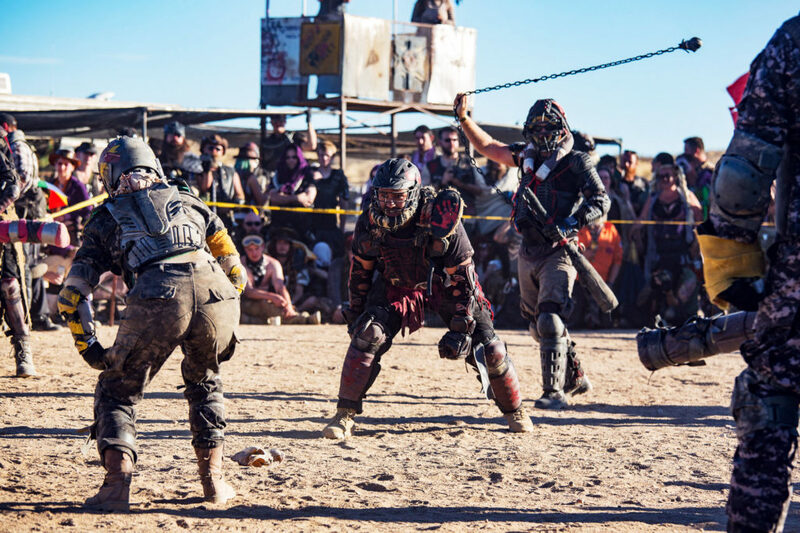 Some 2,500 people, the largest crowd in the event’s seven year history, braved this brutal world last weekend, settling into themed tribes like Skulduggers and Vermin Vagabonds. 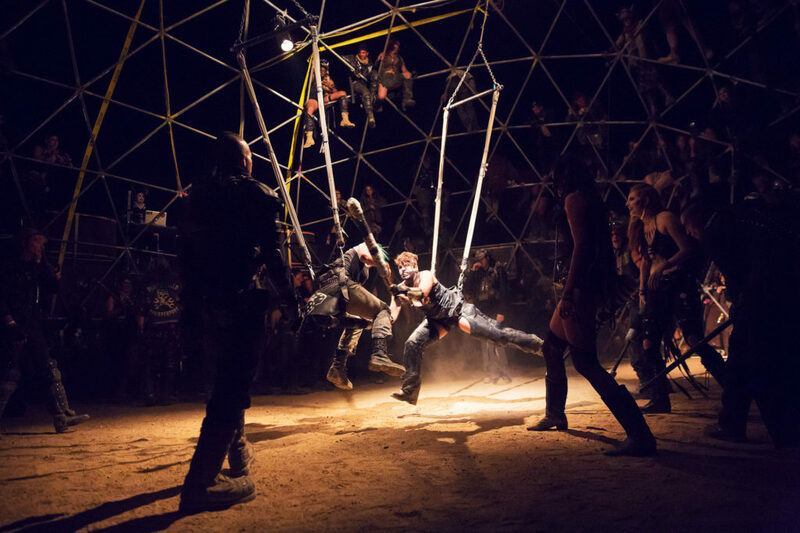 Wasteland is fully immersive. Costumes are mandatory, no gawkers allowed, and must be in character. Don’t even think about crossing over from another universe like Star Wars. Attendees come from all over the country and spend the year before planning their get ups and car mods. And if the world ever really does go to hell? 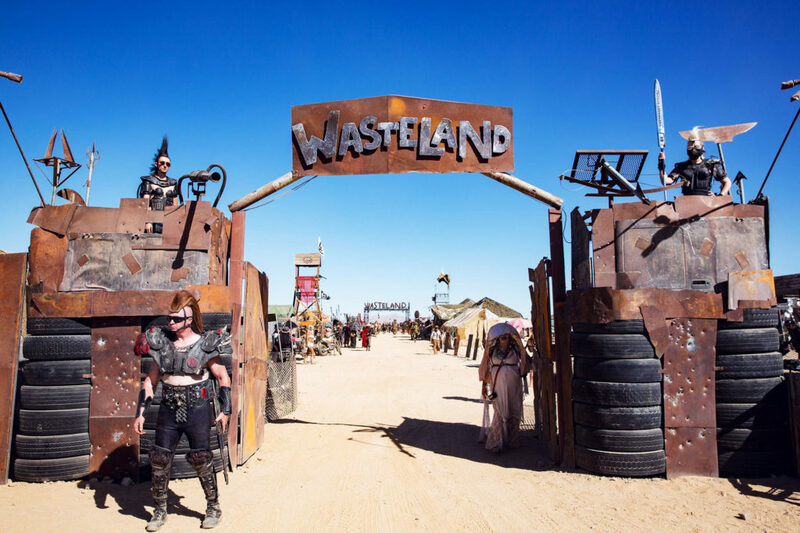 “Some will be well prepared,” says Jared Butler, Wasteland’s event director and cofounder. “The others, well, they’ll be poorly prepared, but they’ll look fabulous.” During the day, the sun transforms every metal surface into a sheet of fire. The grime is inescapable, coating tents, vehicles, and bodies alike in a sheen of sweat and sand. The noise never lets up, the bass heavy thud of the dance pit joining the roar of engines and the cheers of those watching fighters clash in jugger matches. And when night falls, things really get crazy.